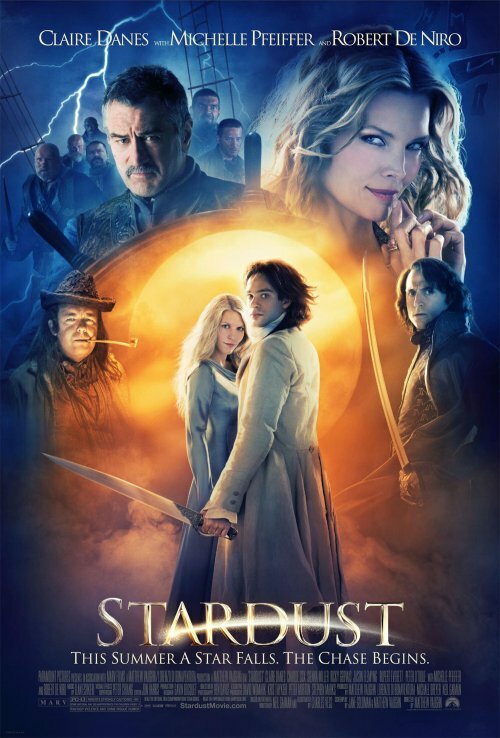 Slashfilm has the final Stardust movie poster, and it is, well, ok, but not great. You have the two main characters at the center, brightly illuminated by some sort of star/sun. Then you have several of the other characters floating around in the edges. The over all effect is nice, but a little dull. What a fantasy movie like this needs is a poster that communicates the wonders that the audience will experience in the film. The trailer does a decent job of that, but the poster itself is mostly focused on showing all the stars who are in the movie.